Whew! It was exhausting but fun to try out all of those newborn diapers and I hope everyone enjoyed all of the posts. It is a lot of information so I wanted to wrap up the series with Newborn diaper superlatives and a giveaway!!! 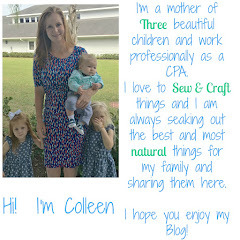 From the 10 newborn cloth diapers I tried out I liked a lot of them and would recommend some of them as well. 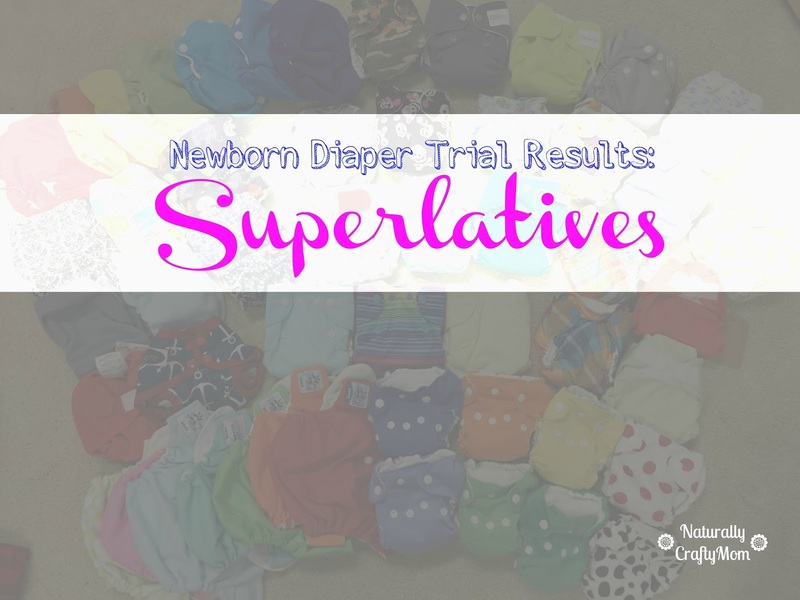 I polled my mommy audience as well a considered what are some of the features of newborn diapers that would be important to a customer and devised the newborn cloth diaper superlatives from there. If there are any features I didn't cover here, post in the questions below and I will respond there. Best Resale: Born Smart - As I stated in the Born Smart results I easily sold my Born Smart diapers for just under retail and sold them very quickly. It helped that I had an the exclusive Rainbow Love in my lot that I was selling but in general I have seen that there is a really good resale market for this brand. Best Fit for Skinny legs: Born Smart - Born Smart's fit so small that they fit my baby's skinny legs from birth on. Lil' Joeys also fit well but I preferred the Born Smarts. Best for on the go: Simplex or Tots Bots - As both the Tots Bots and Simplex are all very absorbent and easy to use it was a tie for the best for on the go. 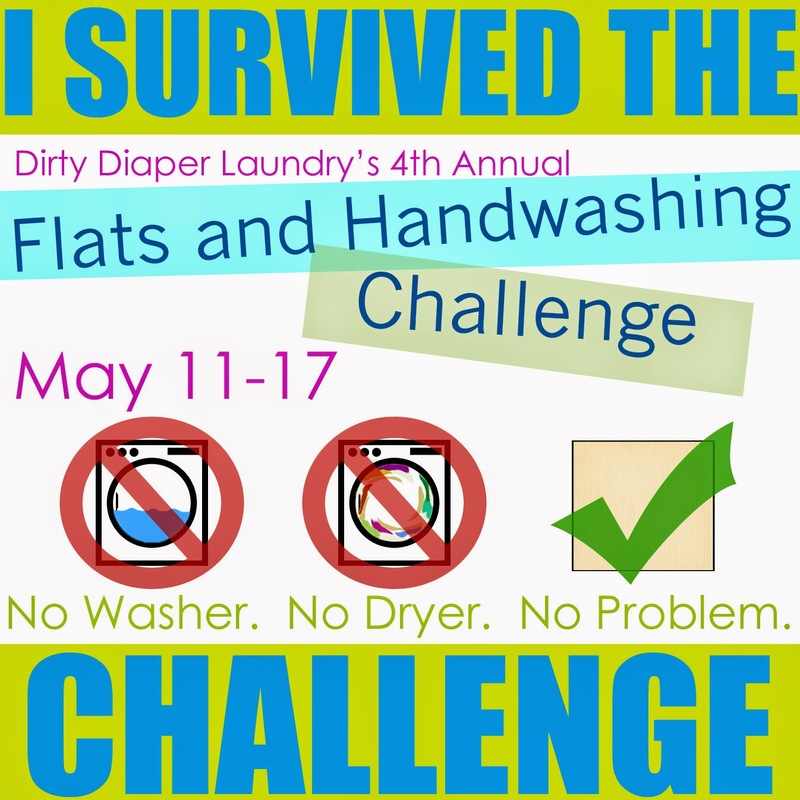 Most of the diaper worked well out of the house since I used all All in Ones but because I knew I could count on the absorbency of these brands they were great for out of the house. Most absorbent: Peachy Green - I knew I could always count on the Peachy Green size 0 diapers to be absorbent and hold for a while. There weren't as many leaks with my PGs and they lasted more than 2 hours on average. Easiest to use: GroVia - This diaper probably fits multiple categories (great for on the go also) but it is definitely easiest to use. The soaker is semi detached and doesn't get stuffed in or anything complex. You literally just take it off the line and put it on your baby. Squishiest: Lil' Joey - The Lil' Joey diapers are so small and squishy they would make you long for a newborn again (once you forget about the sleepless nights). They were the tiniest of the newborn diapers I tried and they come in such cute prints and colors and the insides are so soft you just want to rub it on your cheek, they are very squishy! Fastest Drying: Diaper Rite - Due to the detachable soakers and micro fleece inners I knew that if I washed at night these diapers would be read to go the next morning. A lot of the diapers with built in absorbency took a long time to dry which would be a nuisance when you don't have a lot of diapers. SoftBums fit into this category as well. Best for a tiny baby: Born Smart - These fit my tiny baby amazingly and actually fit well. A close second was the Lil' Joey since its so small but the Born Smart is slightly trimmer so that is why it is my pick over the Lil' Joey. Best for a bigger baby: Diaper Rite - These diapers are cut much larger than the other newborn diapers I tried so they fit well for when my baby was a little bigger. Surprisingly they actually fit when my baby was small but they just looked bulky. Best for newborn stage (1-2 weeks): Lil' Joey - If I had to pick on diaper to have in my stash for just the first two weeks it would be Lil' Joeys. They are really small and easy to use since they have built in absorbency. Best for long usage: SoftBums - This category refers to months or pounds of usage not hours per use and SoftBums is definitely the winner since they work beyond the newborn stage and up through potty training. Best Newborn Diaper: SoftBums!!! SoftBums could have easily fit into any of the categories above since it works for little babies, old babies, big babies, small babies, skinny legs, chubby babies... on and on. I didn't pick it for the categories above since I was trying to focus more on the newborn specific diapers but if I had to pick the best overall of the ones I tried SoftBums is the hands down winner. 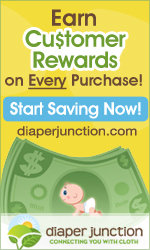 Its not only easy to use, customizable, absorbent but best of all you don't have to sell or trade them to get one size diapers because it IS a one size diaper. At around 8 pounds I started using my other one size diapers on my son and they all just look so bulky that I went back to the newborn diapers but SoftBums always looks trim and still works well. When I told SoftBums that they were going to be my pick for the best newborn diaper they were so excited that they wanted to offer a giveaway!!! SoftBums is kindly giving away one shell in the Froggy print as well as a Dry Touch AND Bamboo Pod to go with it!!! If the giveaway reaches 2,000 entries I will also personally give away a Solar Flair Shell!! Love this post! We love Softbums in our home! solar flare is my favorite in stock color right now! My favorite Softbums print so far is tagged! We use softbums exclusively and I'm not even tempted to try another brand! Is this where we comment for the drawing? I love froggy, but is not in sick, so in super glad it's in the giveaway. In stock favorite is dapper! Softbums is my go to diaper. I love the new balloons pattern. I love softbums. They are my go to diaper! Love the new balloons print. Kaleidoscope was my favorite until now. I like those frogs. My favorite print is Beautiful Balloons! I just ordered the hot air balloons print, I think it's going to be my new favorite! Out of the ones I already own, I love galaxy and kaleidoscope! Thanks for the chance! I love the colour puddle! It's so hard to pick one!!! The new hot air balloons are adorable! I love anchors away! It matches my little guys nautical nursery! I love the anchors away! It matched my little guys nautical nursery! I love the new hot air balloons print! I like the new Beautiful Balloons print! Love the new balloon print, babys gender will be a surprise in June, haven't gotten any cloth diapers our registry so this would be a really helpful win! I love Tagged! It's so unique! My favorite in stock print is Anchors Away. I like the Anchors Away print. I like the celebrate print the most! I love the new balloon print! so cute! Anchors Away is one of my favorites. I'm surprised it's still in stock. I'm mildly in love with Beautiful Balloons right now! It's so lovely, and even gender neutral! I like Celebrate and Tagged prints. They are both cute. Thank you for this great compilation of diapers! And the giveaway! I really like the new balloon print! Love born free. American flag!!!! Born Free is the best print. Love the American flag. I really like the Kaleidoscope printed diaper, it is adorable! Thank you for the give away! Beautiful balloons is my favorite in stock. Kaleidoscope would be my favorite if it was in stock! I really like "Fireworks!" My daughter was due on the 4th of July (but was a preemie and born at 26 weeks 1 day) and my birthday is New Year's Eve, so it seems like an appropriate print. We don't currently own any SoftBums. Have been wanting to try SoftBums! I love Beautiful Balloons! I love the new beautiful balloons print! I simply adore the Omni Beautiful Balloons print! I love the Echo Close Encounters of the Turd Kind w/Snaps! I love the Getting to Gnome You print. I love several of their prints but if I had to choose probably Kaleidoscope. I love them all, especially solar flare! I really like the love blossom! I like the balloons print! This Froggy print is adorable. I really like Celebrate. Thanks for the review! I really love the Echo Beautiful Balloons w/Hook & Loop!! So cute! I love the balloon print its super cute! !